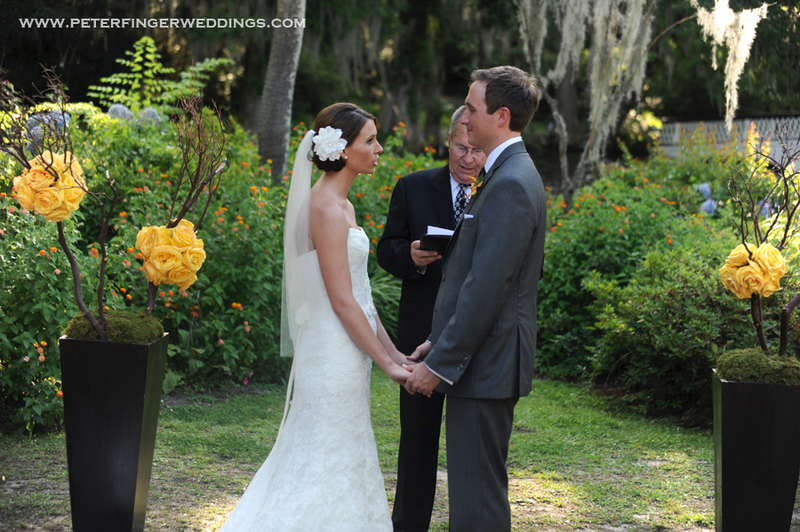 As a Charleston wedding planner I am often ask to assist brides with selecting their ceremony décor. Flowers are by far the most popular option brides select, although there are other options. 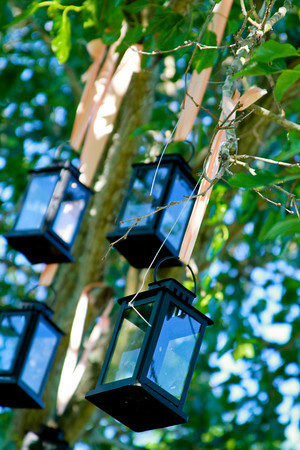 Hanging lanterns at front of ceremony $5 each with six lanterns for total of $30. They are one of the most economical options. 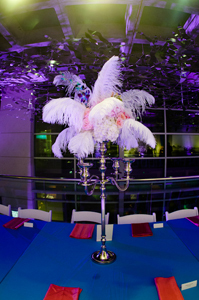 Tanis J Events has six varieties of lanterns available to their clients. Freestanding altar arrangements $100 each, total $200. 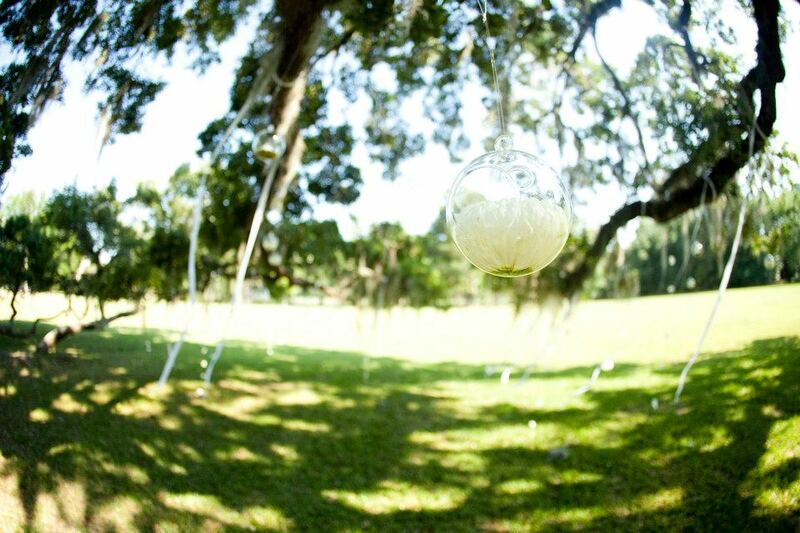 Ceremony bubble & crystal installation $200. Approximately 50 bubbles and 50 hanging ribbons were hung to make this beautiful backdrop. Two floral and feather freestanding arrangements $125 each for total of $250. Arrangements moved to reception during cocktail hour and repurposed as centerpieces. Two large freestanding centerpieces $175 each, plus $75 for the pipe and drape for a total of $425. The pipe and drape was installed to hide the artwork at the front which included a painting of what we called “The grumpy old man”. 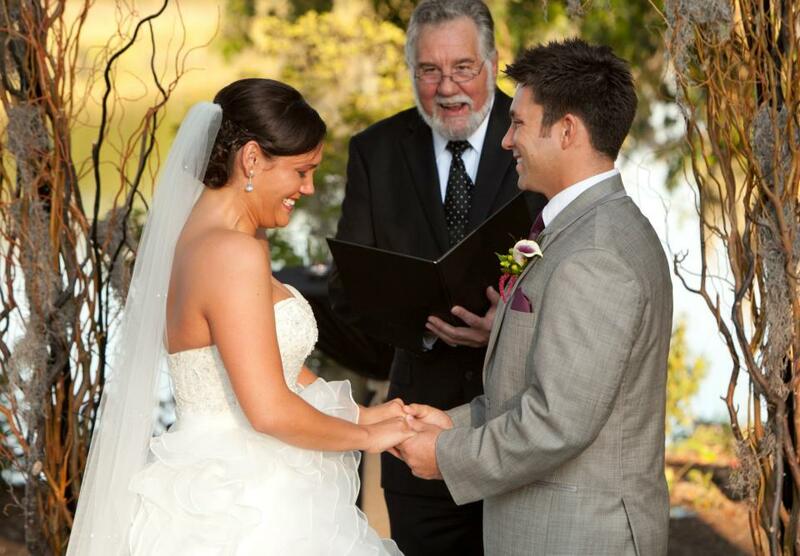 Is your ceremony indoors or outdoors? 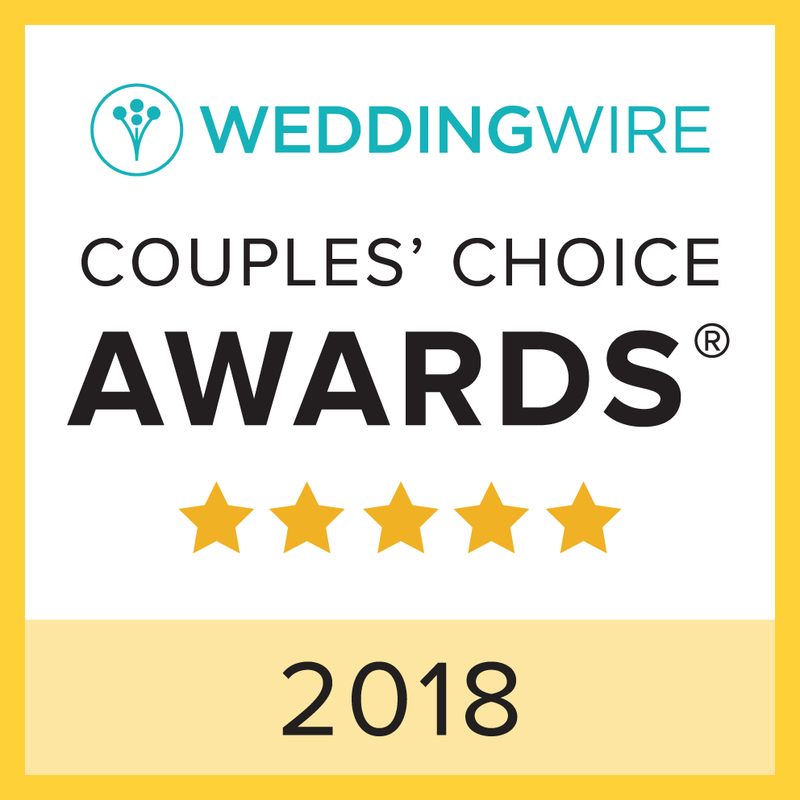 Indoor ceremony locations may have restrictions on candles and lanterns while outdoor ceremonies are often subject to weather conditions such as wind that can blow over floral arrangements. Will you be having a unity candle or sand ceremony? 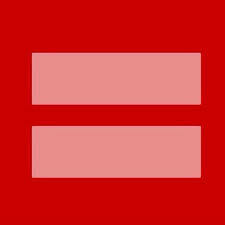 This will require a table of some sort and may affect what you select as your ceremony décor. Time of year? This will affect which flowers are in season if you opt for floral décor. 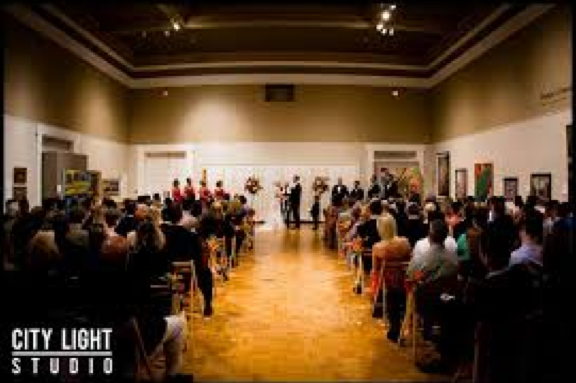 What is the layout of your ceremony. Brides are considering options other than two blocks of guest seating for their ceremonies, including circular seating, spiral seating. Look for our blog on this coming up next month.